This challenge is where we post a review of a book we’ve read over the past month. It is supposed to be a book that we’ve had in our ‘to be read’ stack, and that is a used book that we are basically recycling. Even old books are still good reading! This time I couldn’t decide on one, and time was running out. 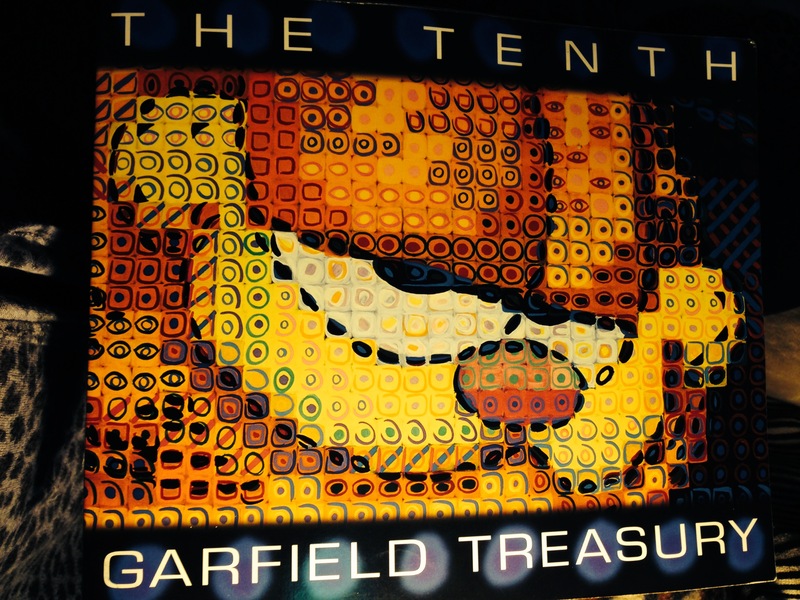 I picked up this one, “The Tenth Garfield Treasury”, because it was one I’d gotten at the library book sale a long time ago. I basically skimmed through the pages. I’ve read a lot of the Garfield books, and read the comics in newspapers for years. This one is a compilation of some of those, so are kind of recycled comics from another place. It’s the usual antics that Garfield, the cat, gets up to with his cartoon family, Jon, and the dog, Odie. As always they are funny, and I love seeing the way they are drawn. Garfield comics first made an appearance in 1978, the creation of Jim Davis. This book was printed in 1999, by Ballantine Publishing Group.